Dr. Wright received his Bachelor's degree from Brigham Young University in Business with an emphasis in Information Systems. He completed his medical degree at the University of Vermont College of Medicine in Burlington, Vermont. There he was awarded membership in the Gold Humanism Honor Society and won first place in the senior surgery research presentations. He completed his general surgery internship and urology residency at the University of Arizona serving as Chief Resident his final year. 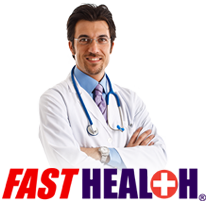 He has multiple publications and presentations in the field of Urology. Dr. Wright's clinical interests include general urology, particularly stone disease and treatment of voiding dysfunction and prostate enlargement, including laser therapies. He enjoys spending time with his wife and 4 daughters and spends his spare time helping them with homework. Together they love to enjoy music with Dr. Wright playing the piano and drums. His studies were interrupted for 2 years of service as a missionary in Argentina and also working as a software developer. He is fluent in Spanish.